I’d like to share a tip on how to narrow your search down to the profiles of professionals in a given country. 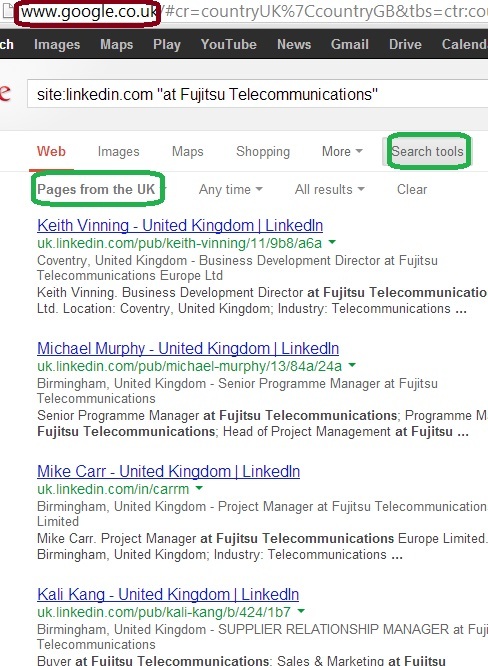 My examples will be LinkedIn-X-ray-based, but these are applicable to other types of searches. Some Americans may not even know that, but outside of the US Google offer to narrow the searches down to the pages in the local country only. If the main language in the country is not English, there’s yet another option to look only for pages in that language. These options are available under the “web” underlined link if you select search tools. We can take advantage of this, traveling “virtually” by switching to a given local, country-specific Google search page, such as http://www.google.com.au/ or http://www.google.co.uk/ or http://www.google.hu/ (etc). 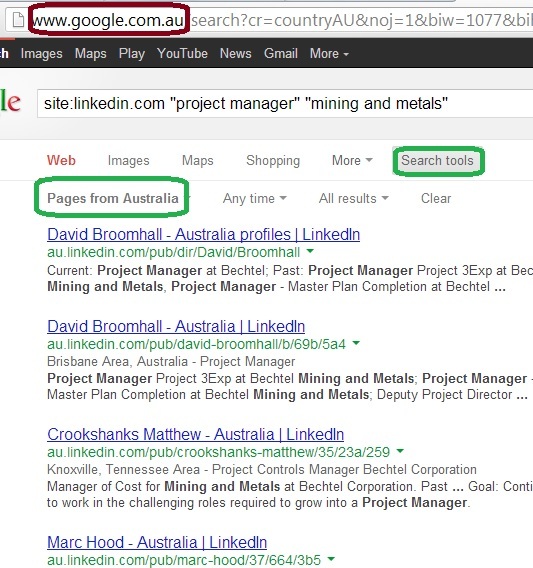 In particular, switching to a country-based Google is a perfect tool to X-ray LinkedIn profiles local to the country. …are three very different options. Let’s not get lost! At this point the goal was to search in Hungary. Here’s a nice tip sheet with the local Google search URLs. I will end with a note for my fellow Americans: if you ask to switch to searching in English, then the “local” country and language options will be gone, as if you are back in the US. 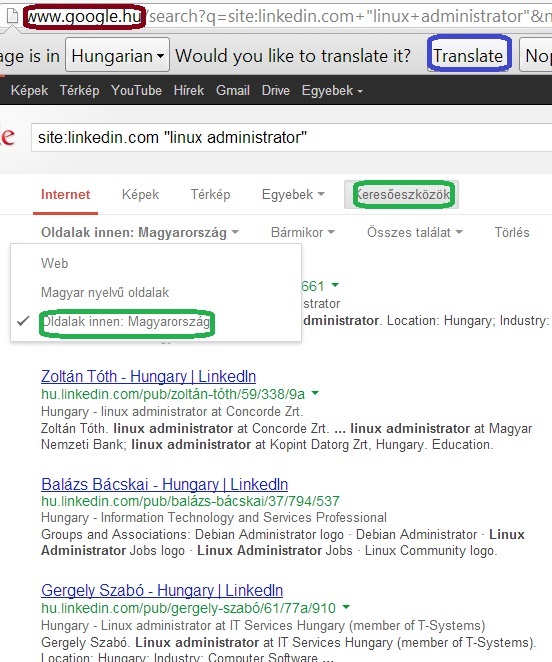 Stay with the foreign-language search and use the Google translation to keep your options open. Thank you for this post. I will give it a try. I have recently been searching in Angola and Mozambique where the predominant language is Portuguese. I will do it again using these tips and see if I find anything different! I did have some challenges with Google translate which produces a “word-for-word” rather than an idiomatic translation. As a result, I ended up with a no. of weird job titles, e.g. Uncle, Vowel and (my personal favourite) Strawberries!